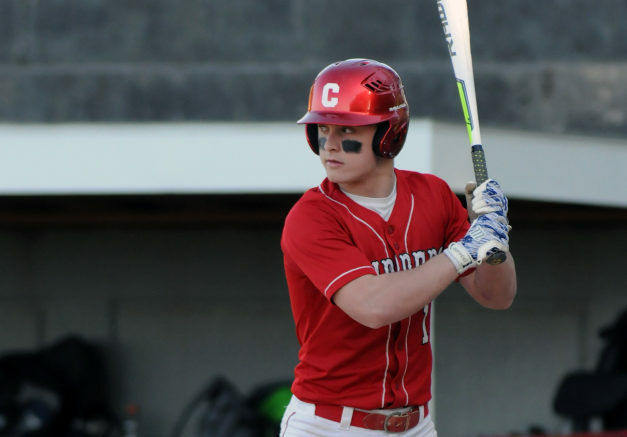 COLUMBIANA, OH- Columbiana (5-6, 4-2) defeated Wellsville (5-6, 3-4) 5-4 in 8 innings on Tuesday afternoon. Chase Franken was the hero with a walk-off bases-loaded sacrifice fly to left scoring Wayne Davis who had reached earlier on an error to give the Clippers the win. For Wellsville, Justin Thirtyacre went five innings giving up 4 runs on 5 hits while striking out three, and walking four. Cole Corbin took the loss in relief pitching 2.1 innings and giving up a lone tally in the runs column. Offensively, Garrett Krzyston and Jon Walker paced the Tigers with 2 RBI apiece. Columbiana returns to action Thursday at home when East Liverpool comes to town. First pitch is scheduled for 5 PM.